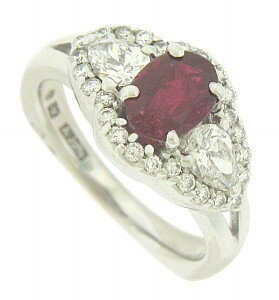 This 18K white gold engagement ring features a dazzling 1.36 carat oval cut ruby. Fantastic pear cut diamonds press into the center stone on either shoulder, while round cut diamonds surround the center stones. 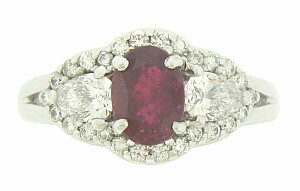 The ring is signed A. Jaffe and set with .95 carats of sparkling diamonds and measures 11 mm in width. 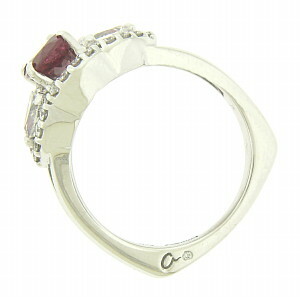 Size 7 1/4. We can re-size.